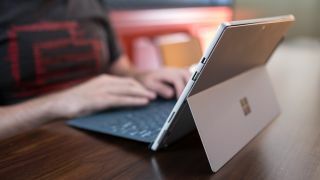 Those testing Windows 10 previews for Redstone 5, meaning the update coming later this year (after the supposed April Update which is imminent), have received a major boon in the latest build if they have a laptop with cellular connectivity. Build 17655 gives mobile broadband what Microsoft describes as a full ‘makeover’, with the introduction of a new network driver which should make for a more reliable cellular connection. That’s great news for those who have a laptop which can go online via a cellular network, although note that this is the first stage of testing the new driver. So, in other words, that better reliability may not be fully realized until more work is done. What's really good news is that this shows where Microsoft is headed, and that the firm is serious about improving cellular connectivity for those who work (or play) while out and about away from the office or home. Microsoft notes that your Windows computer must support SIM cards and USB modems (a USB dongle), as the fresh driver in this build is a USB-class driver. And, of course, you must also install build 17655 and then set up cellular connectivity. For full instructions on how to proceed, check out Microsoft’s blog post, which details all the steps. In a previous Redstone 5 build (17643) released a couple weeks ago, Microsoft embellished Data Usage settings with a new overview that shows how much data you’ve consumed while roaming on your cellular connection, which is another handy touch for those with mobile broadband on their notebook.